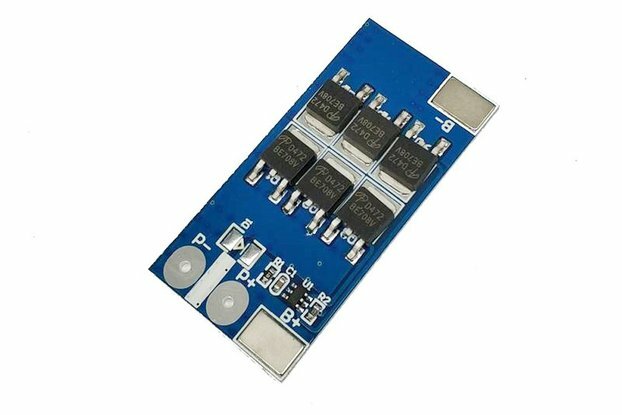 This board provides charging (up to 1 A), protection (OV, OD, OC), load sharing and boost converter (up to 28 V out) for lithium batteries. 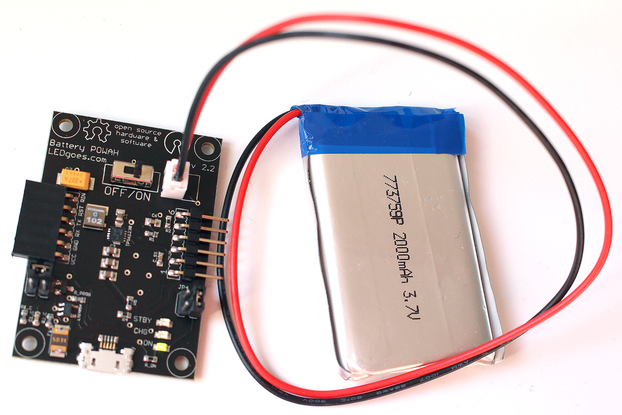 Every electronics project needs a power supply, in a lot of cases in the form of a battery. Hackers have found that the best kind of rechargeable battery is a lithium one - for example, an 18650 cell salvaged from an old laptop. But lithium batteries have their drawbacks - they are tricky to charge, dangerous if you over(dis)charge them and their voltage range - 4.2 to 3.0 volts - makes them hard to use with both 5 V and 3.3 V logic. So this board is trying to solve all of these problems in a single package. 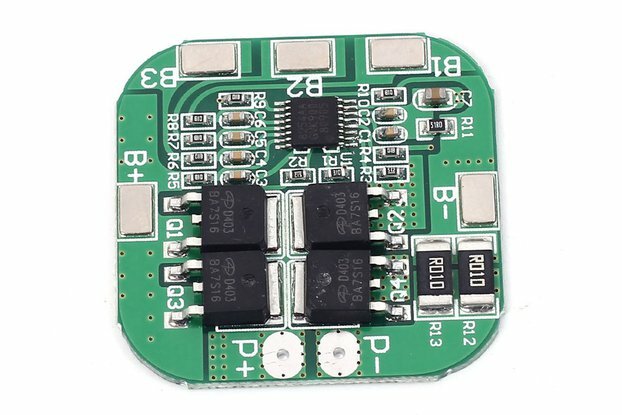 A) Charging circuitry, based on the TP4056 IC; it can charge the battery with a user-settable current up to 1 amp from a microUSB connector. B) Protection circuit, which disconnects the battery when it discharges too much, overcharges or shorts-circuits. C) Load sharing circuit, which enables you to charge the battery and use the connected project without disturbing the charging process. 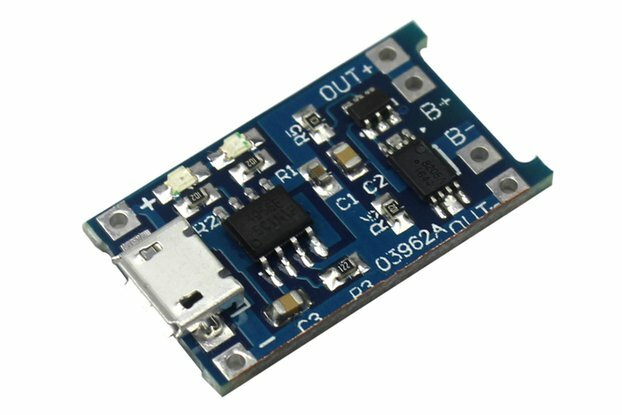 D) Boost converter, which can boost the lithium battery's output up to 28 V, even though I usually set it to 5 V (then it can deliver up to 1 amp of current). For efficiency, see the attached chart. 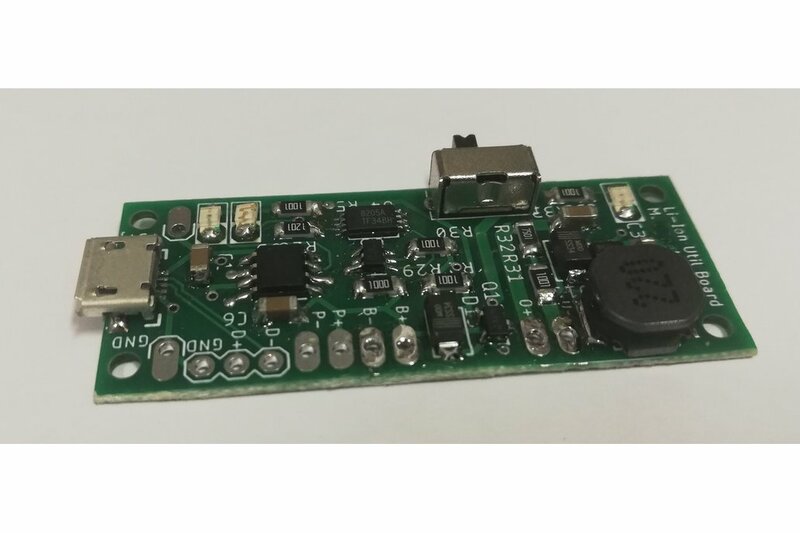 E) A lot of other handy features, for example: wired-out D+ and D- pins; 2 battery status indicator signals/LEDs; boost converter output ON LED; boost converter mechanical switch; battery protected output (for measuring the battery voltage etc. ); 5 V input pads... And in this version 1.2, I managed to fit all of this into a 20 x 50 mm package and onto a board which costs only 10 bucks. Btw. if you want just the PCB or the whole thing as a kit, send me a message, everything can be arranged. The best thing is that all of the files are open source on my web and GitHub, so if you don't feel like buying it, just download the files, have them manufactured and use it to you heart's content! So why are you selling it? Good question! Since I made this board, I found it extremely useful, I used it in more than 20 projects of mine, some of them even commercial. I published an article about it, and got a lot of messages from people who wanted to buy it, since sourcing all of the parts is not that easy and the soldering is not easy as well.